Showing results by publisher "American Management Association"
Good leaders aren't developed overnight, as soon as they get the promotion. Leadership is an ongoing process; even the greats like Jack Welch are constantly honing their skills and abilities. Today's guest, John C. Maxwell, has developed a system that delineates the steps on the road to influential leadership in his new book, The Five Levels of Leadership. Jim Collins and Mort Hansen, co-authors of the book Great By Choice, discuss their research on fundamental business concepts and why some companies excel in chaos, turbulence, and uncertainty while others do not. Jim describes it as the most fascinating analysis that he's ever been associated with in nearly 25 years of research. Some of those fascinating insights include the role of luck and innovation, their "triad of behaviors", as well as firing your "bullets" and then firing your "cannonballs". Bounce, by New York Times best-selling author Keith McFarland, is a leadership fable for those wary of fables, a story that rejects pat, heard-it-before advice, and shows how to use challenges to make both yourself and your organization stronger. Why are some people - Tiger Woods, Warren Buffett, Yo-Yo Ma - so incredibly accomplished at what they do, while millions of others in those same fields never become very good? Why are some people so extraordinarily creative and innovative? Why can some continue to perform great at ages when conventional wisdom would deem it impossible? Those are the questions Geoff Colvin set out to answer in Talent is Overrated: What Really Separates World-Class Performers From Everybody Else. As a manager, there's a fine line to walk between being friendly and being helpful. That line gets even more blurry for women in the workforce. Kim Scott, author of Radical Candor, joins us with how to walk that line, how to provide even negative feedback while still remembering your colleagues' humanity. Dr. Maxwell is author of more than 30 books with more than seven million copies sold, including Failing Forward: Turning Your Failures into Stepping Stones for Success, The 21 Indispensable Qualities of a Leader, and The 21 Irrefutable Laws of Leadership. In the wake of 9/11, Southwest Airlines was faced with a disastrous situation that threatened to ruin not only their business but the entire airline industry. In response, Southwest Airlines made three pivotal decisions: no layoffs, no pay cuts, and no-hassle refunds for any customer wanting them. The result: Southwest remained profitable, it was the only major airline to protect the jobs of all its employees, and Southwest's market cap soon exceeded all its major competitors combined. The Kirkpatrick four-level evaluation model focuses on four key areas: reaction, learning, behavior and results - with each successive level representing a more precise measure of the effectiveness of a training program. Listen to the Kirkpatricks as they walk through each step of the model and describe its practical application to the business environment. When only 30% of your organization is responsible for 100% of the profits, it's tempting to focus on getting the remaining 70% to catch up. Johnathan Byrnes disagrees. The most important thing is to make sure that those "islands" of profitability are protected and keep bringing in profits before turning all your attention on the losses. Thus, manpower is not spread thin, desperately trying to bail out the "red ink" and high-performing teams will continue to subsidize the organization. Storytelling is an incredibly important business skill. It makes you and your message instantly more memorable. While speed and brevity are essential to a good presentation, a bad story is already too long. Nancy Duarte joins us to talk about the importance of well-constructed stories. Business reorganizations are a fact of life, and they're going to become more frequent than ever. Stephen Heidari-Robinson joins us with some tips from the book he wrote with co-author Suzanne Heywood, ReOrg: How to Get It Right, on how to deal with a "reorg", the phases you should expect, and what questions you should be asking. How does Sydney Finkelstein, author of Superbosses, define a leader? To him, a leader is someone who creates other leaders. When everyone around you is growing their leadership skills, you can't help but get better yourself. Listen for more tips on leadership and more examples of successful superbosses. In Evergreen: Cultivate the Enduring Customer Loyalty That Keeps Your Business Thriving (published by AMACOM), author Noah Fleming explains how constantly searching for new customers is not a solution for new business. Fleming argues that customer loyalty is built through proper marketing that balances getting new customers and keeping existing ones. The purpose of the book is to give managers the steps needed to find their right sense of balance. 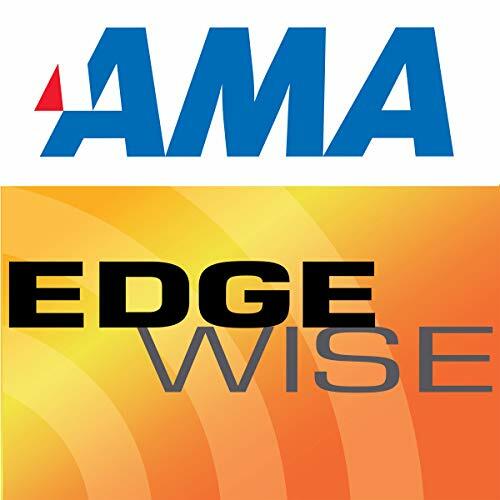 In this episode of Edgewise, Lindsay Hutter discusses the dynamics of working with Millenials, the generation born between 1980 and 2001. Although they possess an invaluable affinity for technology, Lindsay explains why it is also important for Gen Y to disconnect from social media and engage in mutually beneficial communication with their older co-workers. Listen and learn how to tap into the nuances of Gen Y and facilitate cross-generational collaboration. Suzanne Bates, author of All the Leader You Can Be, is here to give us a definition of "executive presence". It's something we all want, but it's hard to quantify. Suzanne is here with data to back up just what we should be working on to be the best leader we can be. In today's fickle economy, senior executives are no longer relying solely on ROI in their purchase planning. In his book Key to the C-suite, Michael Nick outlines the additional financial metrics being used to make buying decisions and empowers sales professionals with the tools to communicate within this new landscape. Greg Bennett has been a top sales trainer, consultant, strategist and coach since 1988. He is the author of the book Consultative Closing, which offers simple steps that build sales-client relationships while winning even the toughest sales.